Lopez is perhaps best known for originating the role of Diana in the original production of A Chorus Line, which led to a Tony nomination. She won a Tony Award for Best Featured Actress in a Musical for A Day in Hollywood/A Night in the Ukraine. She also originated the role of Camila in the 2008 Tony Award-winning Best Musical, In the Heights. Other Broadway credits include Pippin, Nine and Company. Simahk has appeared on Broadway in Carousel, and was in the first National Tour of The King and I. Hernandez’s credits include Mary Poppins, Camelot, and West Side Story. Hamlet most recently appeared in The Boys from Syracuse and You Can’t Take It With You. Keslar is well known to Houston audiences having appeared in more than 20 TUTS productions including A Chorus Line, Dreamgirls, Memphis, and most recently, All Shook Up. He also appeared on Broadway in La Cage Aux Folles. 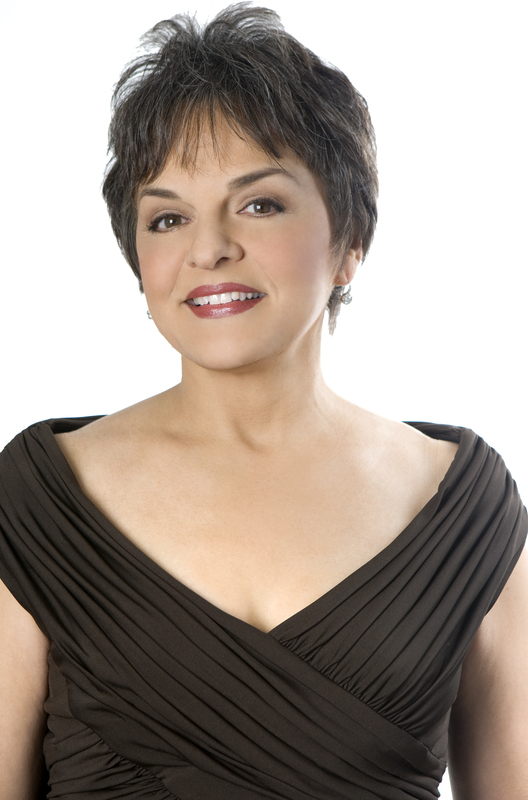 Nazari-Robati’s credits include Disney’s Beauty and The Beast, The Hunchback of Notre Dame, and Jesus Christ Superstar. Campbell has appeared in many regional productions including Holiday Inn, In the Heights, and Damn Yankees. Ulloa most recently appeared on Broadway in On Your Feet: The Story of Gloria and Emilio Estefan. Sitler is returning to TUTS having appeared in the 2016 production of Oliver!, and was most recently in a production Gypsy at Broadway Music Circus. Caddell has appeared in productions of On A Clear Day, Finian’s Rainbow, and Elton John and Tim Rice’s Aida. Rounding out the cast in the ensemble is Preston Andrews as “Mike,” Cristina Maria Castro as “Kate,” Chelsea Ryan McCurdy as “Vivian,” Lauren Salazar as “Gertie Cummings,” Kiaya Scott as “Ellen,” Nick Szoeke as “Slim,” Katrina Wilson as “Virginia,” and Andrew Zapata. Joining the ensemble from Houston Ballet is Tyler Donatelli, Chandler Dalton, Christopher Gray, Joshua Guillemot-Rodgerson, Oliver Halkowich, Gabrielle Johnson, Bridget Kuhns, Jacquelyn Long, Fernando Martin-Gullans, Samuel Rodriguez, Aaron Sharratt, Alyssa Springer, Hayden Stark, Natalie Varnum, and Andrew Vecseri. Additionally, students from TUTS Humphreys School of Musical Theatre (HSMT) and The River Performing and Visual Arts Center (The River), along with students from the Houston Ballet Academy will join the cast. The HSMT students in the cast are: Armani Brown, Abriel Coleman, Brennan Emeka, Karli Fisher, Chase Fontenot, Julian Lammey, Natalie Lammey, Ricardo Lopez, Gentry Claire Lumpkin, and Alyssa Sunew. The students from Houston Ballet Academy are: Mackenzie Ceballos, Quinn Culhane, Diego Espinoza, Eli Go, Nico Gongora, Sara Guo, Zoe Hayman, Emilia Haymon, Natalie Linde, Genevieve Rishikof, Tobbe Rytting, Mia Westman, and Emmie Whitehead. As previously announced, TUTS’ production of Oklahoma! will be directed by Dallas Theater Center’s Artistic Director, Kevin Moriarty. The production, which is an artistic collaboration with Houston Ballet, will be choreographed by Stanton Welch AM, Artistic Director of Houston Ballet. Broadway conductor Kimberly Grimsby will be Musical Director of the show. Joining them on the production are Andrew Harper as Sound Designer, Jason Lyons as Lighting Designer, and Karen Perry as Costume Design. Casting for Oklahoma! was provided by Paul Hardt of Stewart/Whitley. The first collaboration by Rodgers and Hammerstein, Oklahoma! is often considered the single most important work in the musical theatre canon. The original production was a smash hit on Broadway running for an unprecedented 2,212 performances. It’s had countless revivals, national tours, an Academy Award-winning film adaptation, and won a special Pulitzer Prize for Rodgers and Hammerstein in 1944. Based on Lynn Riggs’ play, Green Grow the Lilacs, with music by Richard Rodgers and lyrics by Oscar Hammerstein II, Oklahoma! centers on life in the early 1900s in the rural farmland of Oklahoma, and the love story between Curly and Laurey. Full of familiar tunes that will get you humming and your toes tapping, this rousing and optimistic story of love and redemption, renewal and hard work, will be a thrilling must-see Houston theatrical event! Click here for tickets. This production of Oklahoma! is made possible thanks to the generous support of production sponsors: ConocoPhillips, Margaret Alkek Williams and Houston First / Visit Houston. Children’s Memorial Hermann Hospital is the official healthcare partner of Theatre Under The Stars. United Airlines is the official airline partner of Theatre Under The Stars. KTRK ABC-13 is the official media partner of Theatre Under The Stars. Phoenicia Specialty Foods is the official catering partner of Theatre Under the Stars. TUTS is supported in part by the City of Houston through the Theater District and the Texas Commission on the Arts.